Used model railways & collections always wanted. Exercise of the right to withdraw or cancel. Partial rejection of goods. Rest of World Orders Over £50.00 £29.20. Normal cancellation period. (a) send them back, or (b) hand them over to the trader or to a person authorised by the trader to receive them. Bachman "Y" point 00 gauge. 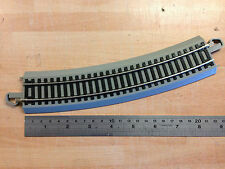 For sale, a Bachmann 00 gauge N/S "Y" point. Excellent mint condition. 8pcs 36-607 2nd Radius Double Curve. 4pcs 36-601 Double Straight. Official Bachmann Accessories. for OO Gauge Model Railways. These 12 curves, 6 straights and one RH Turnout (hand operated) make an oval approx. 900 x 1450 mm. plus a siding. 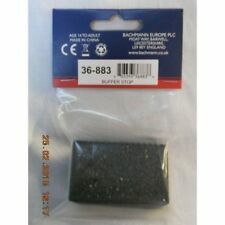 Bachmann 36-873 / Right Hand 438mm. Here we have selection of 00 Gauge Railway Points coming up for sale. Manufactured by Bachmann. OO Gauge Accessories. Scale 1:76/OO. for Model Railways. 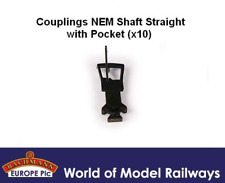 Bachmann 36-061 Mk2 NEM Coupling Short Straight x10 OO Gauge. Manufactured by Bachmann. OO Gauge Accessories. Scale 1:76/OO. These Buffers are round rather than oval as shown in the image. Manufactured by Bachmann. OO Gauge Accessories. Bag of 4 Drawbars. Official Bachmann Accessories. ALL MY WAGON and KIT SALES (Boxed or Unboxed) ARE DISPATCHED IN WELL PADDED STRONG OUTER BOXES. 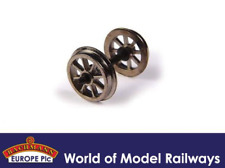 Bachmann 36-872 / Left Hand 438mm. Here we have selection of 00 Gauge Railway Points coming up for sale. Bachmann / Left Hand. Here we have selection of 00 Gauge Railway Points coming up for sale. Bachmann/Hornby Right Hand Express Point OO Gauge. Condition is Used. Dispatched with Royal Mail 2nd class. Bachmann/Hornby Right Hand Express Point OO Gauge.